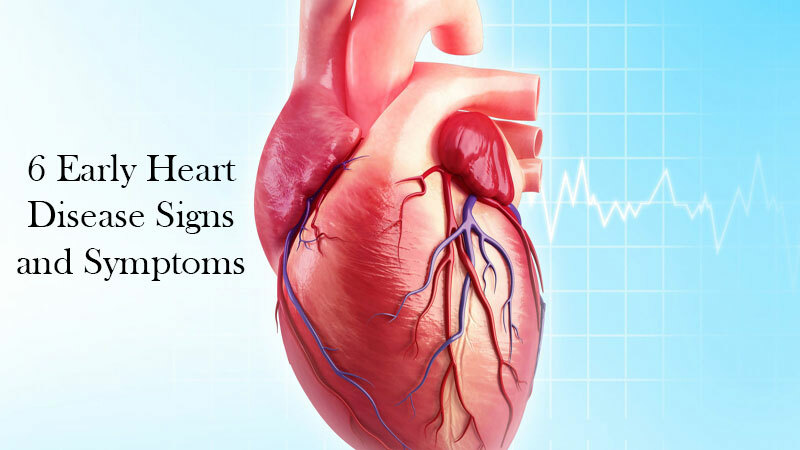 Just like with most diseases, heart problems do not always show clear warning signs. Some heart disease signs, do not even concern the chest. So, if something goes wrong with your heart, you might not be even aware. However, there are some heart diseases signs that you should keep a close eye in order to prevent any cardiovascular disease on time. Take up this seriously in case you have excess weight, diabetic, above the age of 50, suffer from high blood pressure and high cholesterol. If you find some of your basic daily routines difficult to carry out, this may be a result of a poor blood circulation. In this case, the blood arteries narrow down and obstruct the blood flow throughout the body. So, if you find some difficulty with your physical and cognitive abilities make sure you see your doctor as soon as you can. Dizziness can be a result of many reasons such as improper meal, tiredness, and the worst possible reason is a heart problem. When the blood flow operates at a lower rate, you will definitely feel lightheaded. Also, this condition can be accompanied by breathlessness and discomfort. Make sure you seek medical help in case you experience some of these conditions. If you break out in cold sweats without having a fever, this is definitely a problem with your body’s circulation. Some heart problems are accompanied by constant sweating and sticky and clammy skin. Women can also experience night sweats as common signs of this condition. One very important thing to point out, DO NOT overlook these apparently ordinary signs. One common sign of a heart disease is a discomfort in the chest and the surrounding areas. This discomfort can be accompanied with pain in the left arm which is one of the most evident signs of a heart disease. Also, this discomfort can result in pain in the upper abdomen, shoulder, back, neck, teeth, jaws or throat. However, as we have mentioned before, heart diseases may not even involve the chest. People who are prone to heart attacks suffer from coughs, colds, and flu more often than usual. This is one of the most overlooked signs because it is usually associated with viral and bacterial infections. Just to mention, this particular sign may not indicate a weak heart but seek medical help if you experience these conditions frequently. Fatigue and the lack of breath are other heart disease signs that your body indicates when there is a problem with your heart. Fatigue is a more common symptom of heart attack in women than men. These symptoms become evident several months before you are about to get a heart attack. So, make sure you see your doctor next time you feel tired for no reason and check whether your heart is fit and healthy.